University of Basel within the Department of Sport, Exercise and Health Science. Head of project Prof. Dr.med. Arno Schmidt-Trucksäss. Will we be able to detect heart failure and ischemic heart disease at an earlier stage and without invasive diagnostic methods? 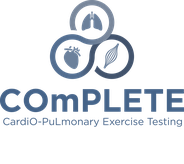 Data of cardiorespiratory fitness, as well as, vascular health and further health parameters will be investigated in 80 patients with heart failure and 80 patients with ischemic heart disease of all severity levels.